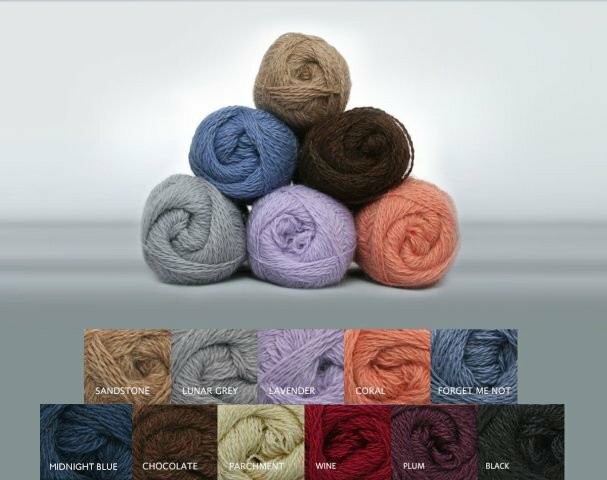 This is a proven blend that offers increased resistance to shedding and pilling and adds loft and substance ot the yarn. Also available on cone, typically between 1kg andf 3kg, in natural Parchment, Sandstone and Chocolate. Please email or telephone for current availability and price.